Nuclear medicine equipment include special imaging devices such as single-photon emission computed tomography (SPECT) and gamma cameras a.k.a. scintillation cameras for diagnosing and treating chronic diseases such as cancer. Composed of radiation detectors, gamma cameras help to identify radioactive energy emitted from the patient’s body and converts it into an image. SPECT could work in combination with gamma cameras for producing 3D or more detailed images. This could be done with the rotation of gamma camera heads around the patient’s body. Over the course of the forecast period 2017–2025, the world nuclear medicine equipment market is prognosticated to register an attractive growth owing to some reliable factors. There could be favorable changes taking place in the world nuclear medicine equipment market on account of technological evolutions such as hybrid imaging, improvements in molecular imaging that do not necessitate radioisotopes, and the introduction of new radiopharmaceuticals to help in diagnosis and therapy. However, lack of molecular and anatomic imaging training, insufficient evidence and data to support the capability of nuclear medicines to improve patient results, lack of cost-effectiveness, and lessened medical imaging reimbursement could pose some challenge to the world nuclear medicine equipment market. Nonetheless, market participants are predicted to be blessed with some profit-making business opportunities in the coming years. The growth of the world nuclear medicine equipment market could be attributed to the exclusive benefit of specific deliverance of non-invasive and unique approach to data at cellular and molecular levels, which otherwise cannot be reproduced with the help of other imaging procedures. Against the background of the rise in awareness about chronic diseases, the world nuclear medicine equipment market is expected to witness a higher demand because of the advantage of earlier detection. A positive effect on the growth of the world nuclear medicine equipment market could be anticipated with the increase in diagnostic nuclear medicine procedures conducted on a worldwide platform. The King Hussein Cancer Center (KHCC) in Jordan has appreciated the support of the International Atomic Energy Agency (IAEA) provided via the 2015 Practical Arrangements agreement between the two entities. Development of the IAEA Curricula for Nuclear Medicine Professionals, arrangement of clinical practices workshops and meetings, and direct training of nuclear medicine professionals are the three key areas of the collaboration. KHCC believes early diagnosis and treatment of cancer through nuclear medicine technologies and techniques are vital for improving the cure rate among patients. The U.S. nuclear medicine equipment market is prophesied to testify a remarkable progress on the back of several technological advancements, thus raising the hopes of vendors operating in North America. As a result, North America could well run for attaining a dominant position in the international nuclear medicine equipment market. One of the factors that is envisaged to be responsible for the growth of North America is the rapid advent of novel radiopharmaceuticals for the purpose of conducting therapeutics and diagnosis. Actively participating countries such as Japan could help the Asia Pacific nuclear medicine equipment market to grow at a faster rate. The analysts foresee Japan as a larger consumer of nuclear medicine equipment in Asia Pacific. Moreover, the country could exhibit a high development of nuclear medicine practice due to a telling increase in the count of hybrid SPECT/CT examinations performed in the recent past. Other countries such as India and China are foretold to expedite the growth of Asia Pacific with an augmenting demand for the diagnosis and treatment of Parkinson’s and Alzheimer’s diseases. The worldwide nuclear medicine equipment market could be branded by consistent elements that direct price trends and other vital factors. 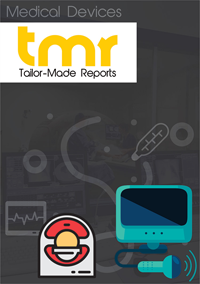 Envisioned to carry a secular nature, the worldwide nuclear medicine equipment market could bear the presence of top players such as Siemens Healthineers, Philips Healthcare, GE Healthcare, Digirad Corporation, and DDD-Diagnostics A/S.